Justin Bieber was in Candy Kitchen in Bridgehampton this weekend. I didn’t see him. I am not very good at celebrity spotting, which is a major summer activity in the Hamptons. My family is always embarassed when I turn around at the table in a restaurant to stare at someone who I think may be famous. Usually I am completely wrong (a lot of people look like Woody Allen to me). Even if I am right, I don’t really remember who it is, so I have to take out my iphone to search Wikipedia or Imdb for pictures to ID my prey. Sometimes I have to pretend to go to the men’s room so I can walk past their table to take a better look. When my family sees someone famous, they start whispering among themselves and try to hide it from me so I don’t do anything to embarass them. This, of course, causes me to get frustrated, to stare and search even harder and to loudly ask them who I’m missing. The Hamptons is a treasure trove of celebrities. Very fertile hunting grounds. Last year we saw Bill Clinton come into a restaurant to pick up some take out food (macaroni and cheese–don’t tell his cardiologist). He circulated around the entire restaurant saying hello (to all the women). Sir Paul McCartney, Steven Spielberg, Paul Simon, Billy Joel and Alec Baldwin are easier to spot than a sea gull at the beach. They are for beginners. You really need to know your stuff to spot the reality TV stars and character actors. 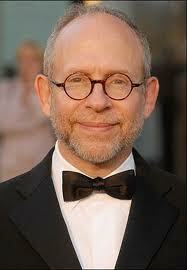 Just tonight I thought I saw Bob Balaban but couldn’t name anything he’d been in and some of our group thought it was Ron Rifkin from Brothers and Sisters. The iphone search for their pictures was inconclusive (see pictures). There are so many celebrities in the Hamptons that even I am often mistaken for one. No, not Bruce Willis or Andre Agassi (only I see the resemblance). 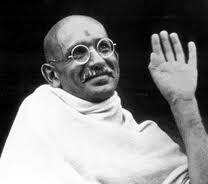 Instead, it’s usually Ben Kingsley or Gandhi. To be honest, my celebrity spotting career has not been totally without success. I have one Hall of Fame sighting to brag about. 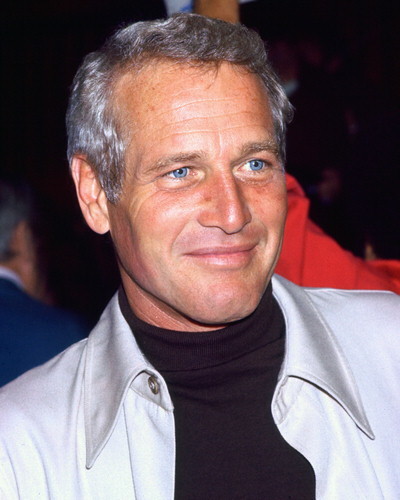 Yes, I urinated next to Paul Newman in a public toilet many years ago. Of course, standard men’s room protocol would have required that I stare straight ahead. But who could resist taking a peek. Could you? This entry was posted in Humor, Ruminations and tagged Celebrities, Humor, Justin Bieber, Musings. Bookmark the permalink. Great post. 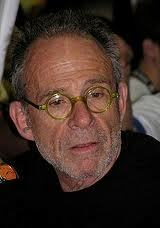 Balaban and Rifkin are remarkable lookalikes. And have great resumes. I am betting that was Rifkin. Based on his age; he looked well, but older by that 12 years. PS: When Matthew McConaughey first appeared, I was struck how much he looked like a young Newman. But I could never imagine him as “Cool Hand Luke” — that’s something on the inside.